“New year, new calendar,” although a less popular phrase, is a truer phrase. 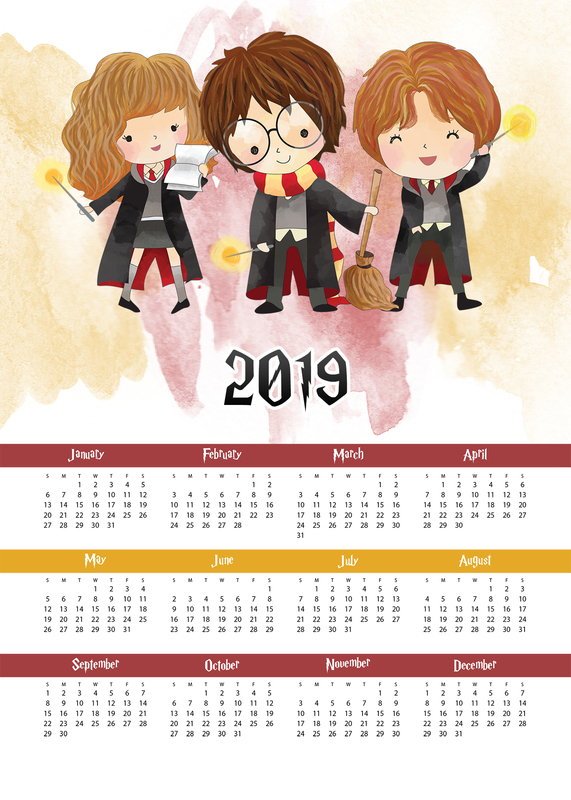 I have compiled a list with links to my favorite 2019 calendars! All but one are free to print. I really love A Piece of Rainbow’s 3D calendar. I print it and put it together every year! Every January 2ndwhen I get back to work I print out new 2019 calendars and get myself organized. I keep a monthly calendar as well as a yearly “at a glance” calendar at my desk. I like to be able to see a month before and a month after since the year seems to move quickly and our deadlines seem to come faster and faster each year! I bought an agenda this year, too! But I haven’t really used it yet except for putting in all of the Hallmark Holiday movie premiers ☺There were over 30 movies this year so I had to find a way to keep up!